I am yet another step closer to my dream holiday and ticking off a few biggies on my “Living To Do List.” Reality is not quite yet setting in, it really is still feeling very surreal but with each passing day it’s another day closer to leaving. I am waiting for the day I wake up and it hits me ~ no doubt the panic is going to send me spinning when it does! Afterall, I am climbing a big mountain….! Yesterday, I gave up a day on the mountain so that I could get my Yellow Fever injection done. Without it, I cannot travel into Tanzania, Kenya and Zanzibar and seeing as though my hiking partner is going away this coming week, it’s the perfect opportunity to get it out the way just incase I am one of those who is hit by the side effects of the injection. At least this way I won’t miss out on any hiking! The best part about not hiking yesterday was getting to lie in by 45 minutes more than I usually do on a weekend. I know it’s not much but at this point I will take it!! It was divine, every single passing second of it! 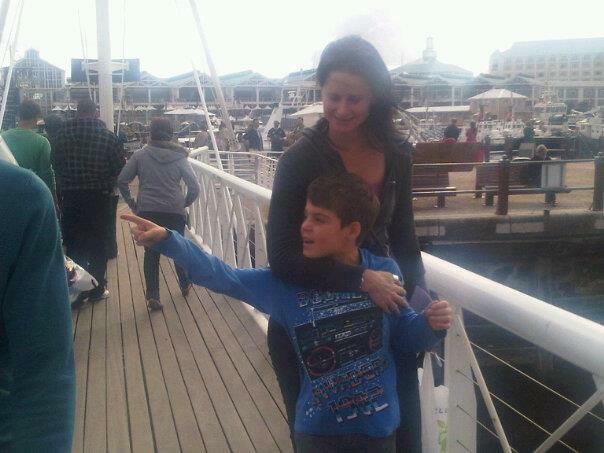 After my lie in, I headed out to pick up my best friend of many, many years and my gorgeous godson and we headed out to the V & A Waterfront to find the travel clinic where I was to get injected. 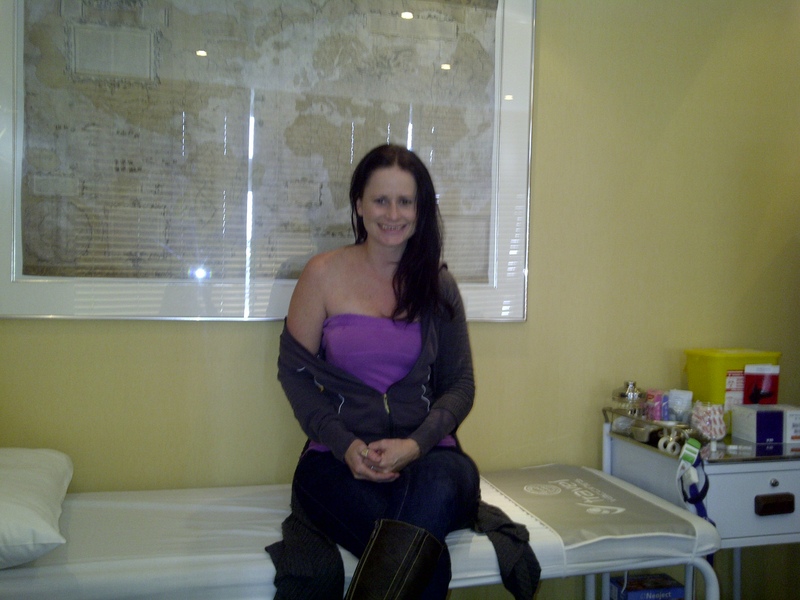 We had arrived ~ It was almost time to see Dr Marcus Brauer ~ who turned out to be a fab doctor!! I was delighted when the very friendly doctor happily agreed to my friend taking a few pics because I am documenting my journey to Kili and he said “You would be surprised how many people want to take photo’s in here and anyway I have had stranger requests.” I thought better than to ask him to elaborate on that one….! 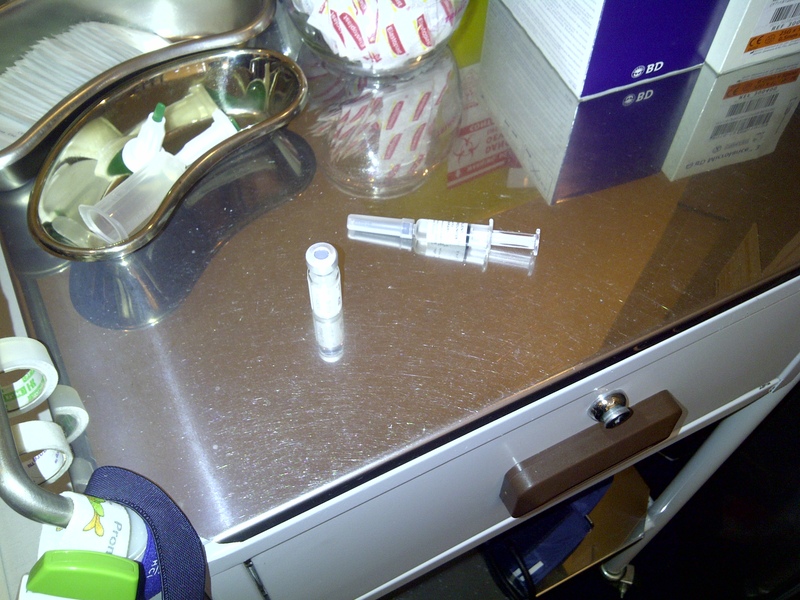 After telling me ALL the ins and outs and my options it was time to hop up onto the bed ~ it was time for my injection. Stripping down ~ I really didn’t plan my wardrobe well! Playing around while waiting for the doc to give me my medicine ~ according to Natalie, such a Lara look! Such a baby injection ~ this is going to be a piece of cake! 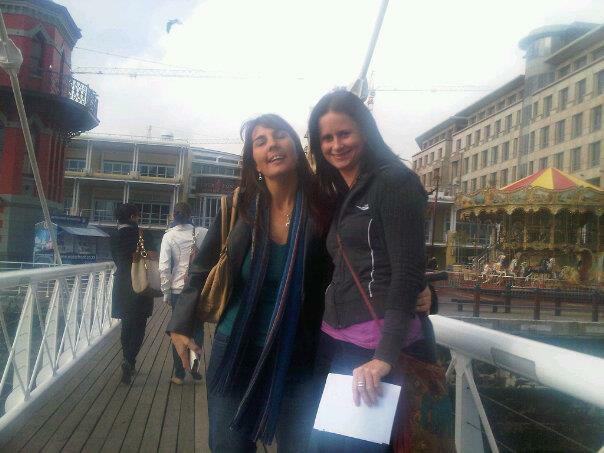 The doc sure knew how to take his time ~ Me and my bestie still messing around, killing time! 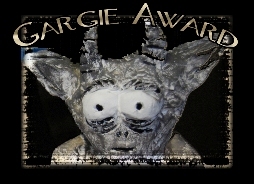 Finally ~ Nearly time to get jabbed! A swipe of alcohol ~ on my arm and not in my mouth ~ and we were ready to go. 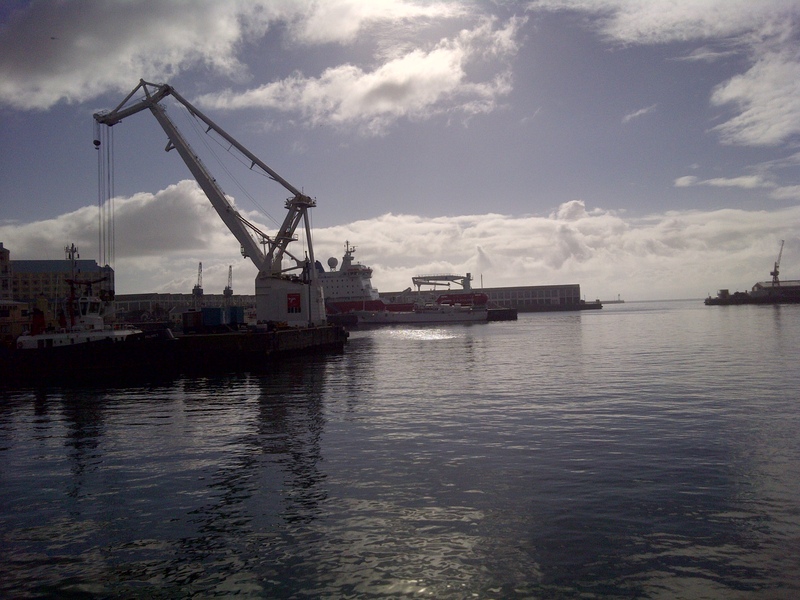 And in it goes….!! Didn’t feel a thing and in fact when he said it’s all done, I said really? I even got a band-aid for my trouble ~ at 75 cents of course! 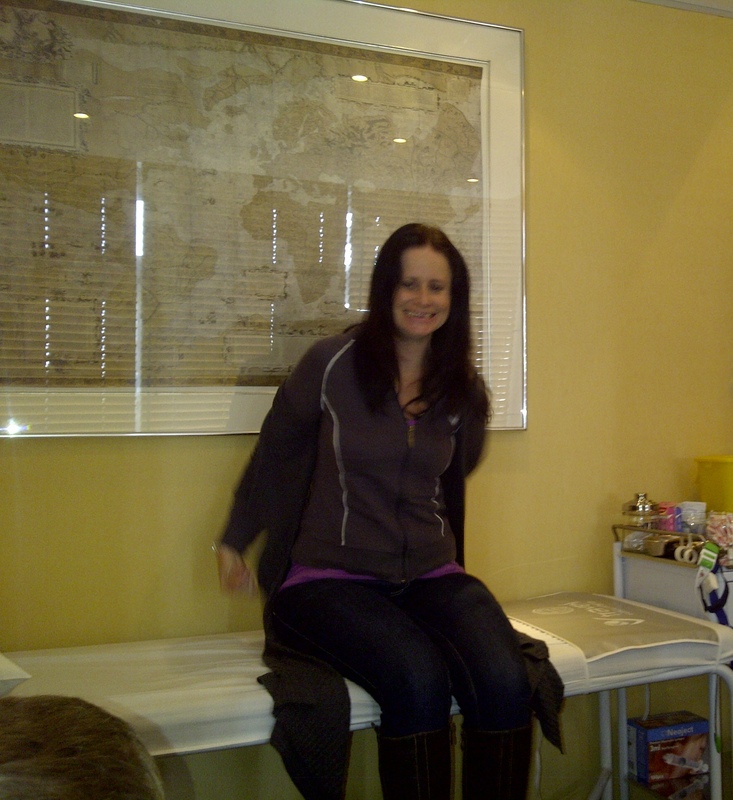 I must say I never noticed the map of the world that was hanging on the wall behind me until I saw the photo’s later that day. I guess I might be back again one day soon as I have many places to travel too ~ I wonder what I might need for Russia next year?! 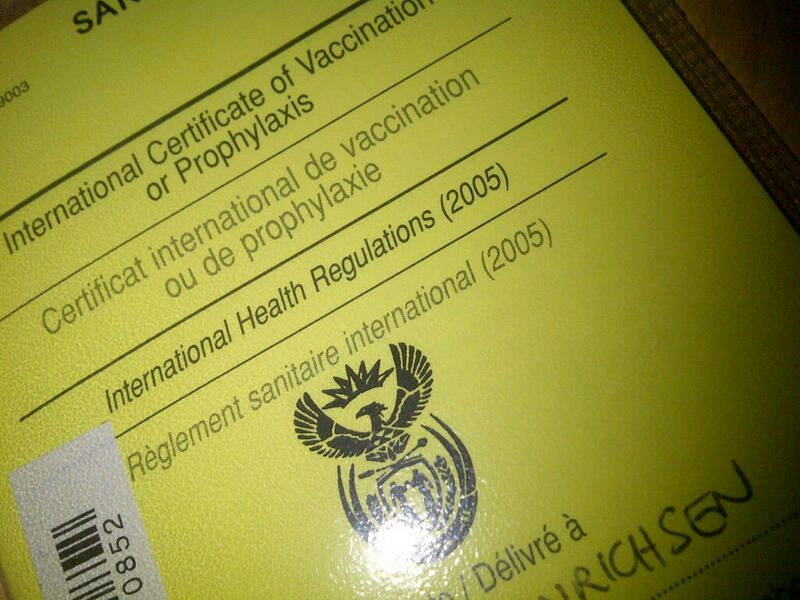 My International Certificate of Vaccination book, which will travel with me. 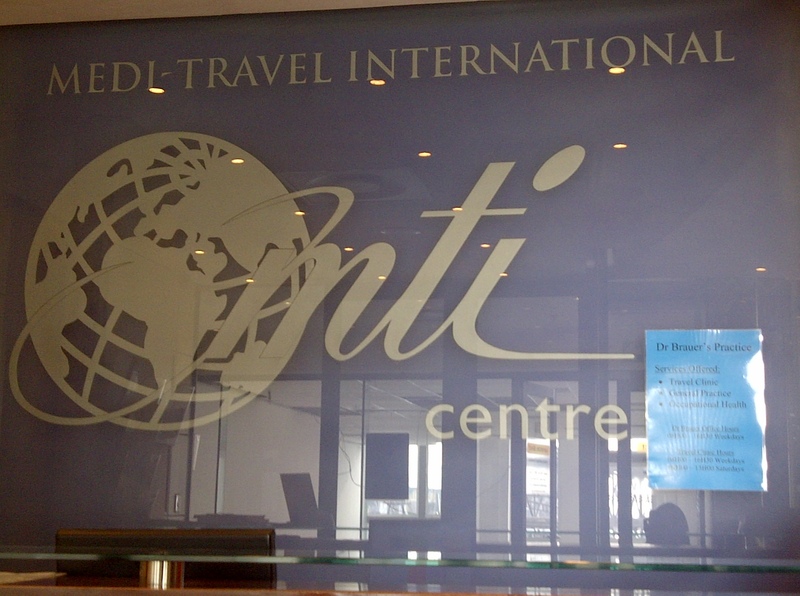 The great thing about this trip to the Travel Clinic is that I got to see the doctor and not just the nurse and therefore I was able to get a prescription for both Diamox and Malari tablets, which in the end saves me another huge consultation fee at my GP just to get a prescription. I’m still undecided on whether to take the Malaria tablets but at a nice price of just R23 for the full course I have the luxury of being able to take them with me and decide whether I will take them or not when I am coming down from the mountain. Injection done, another item ticked off my Africa to-do list and it was time to go and enjoy this glorious winters day with my bestie and godson! My gorgeous godson and I ~ I love spending time with him! 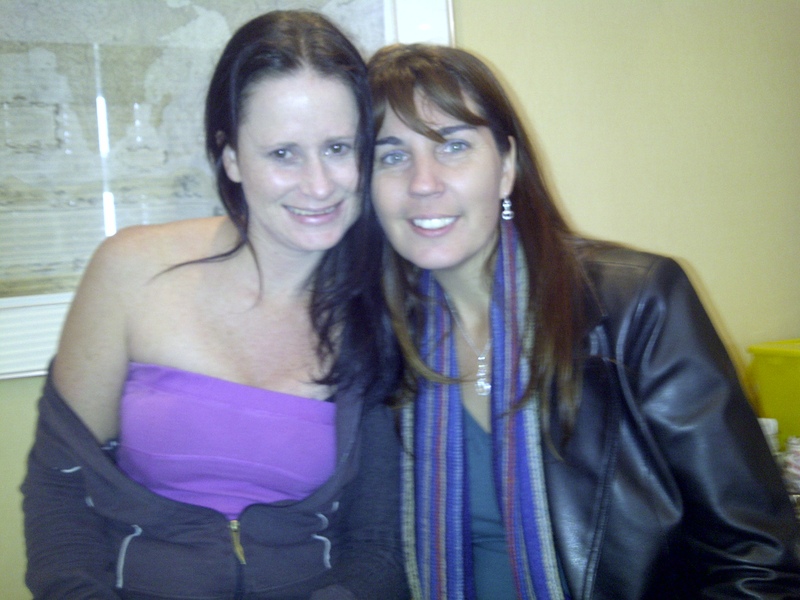 Me and my long time bestie, Natalie! 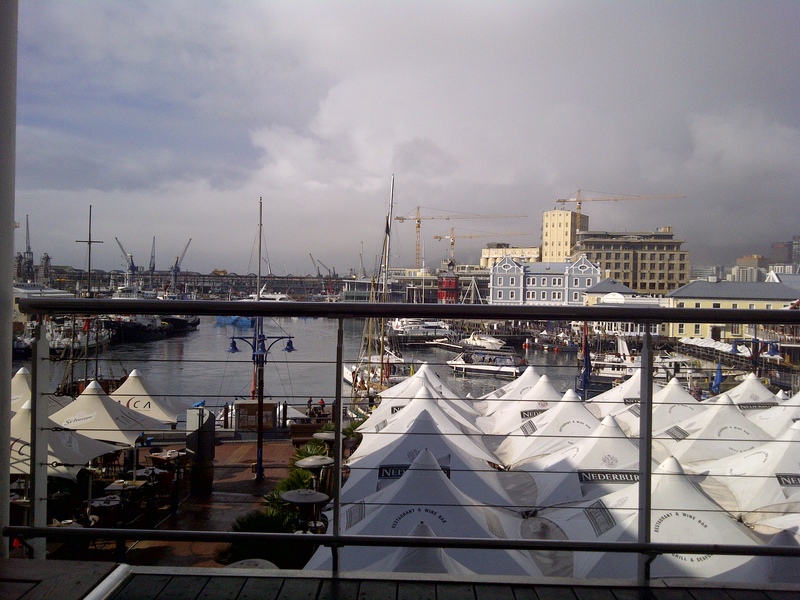 Views from the V & A Waterfront ~ It was such a beautiful winters morning. 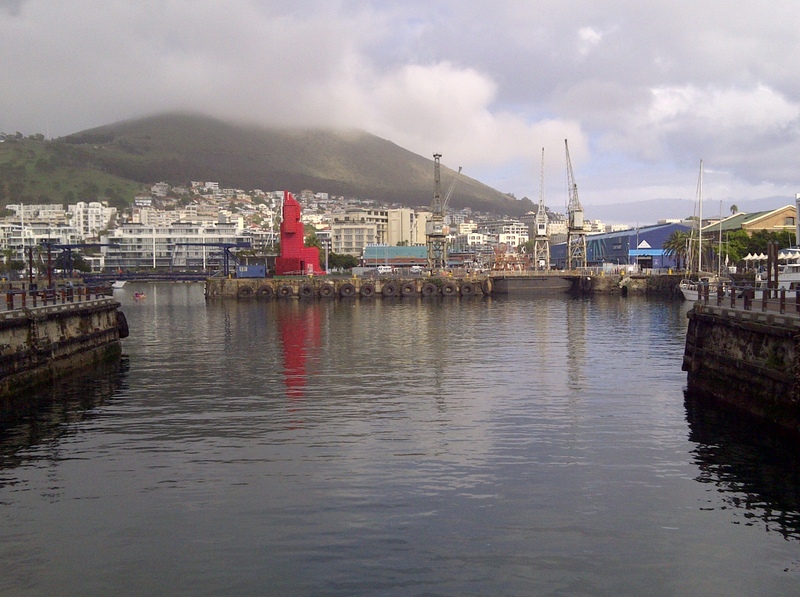 Views from the V & A Waterfront ~ Behind all that cloud, Lions Head is hidden! View from where we were having breakfast outside. 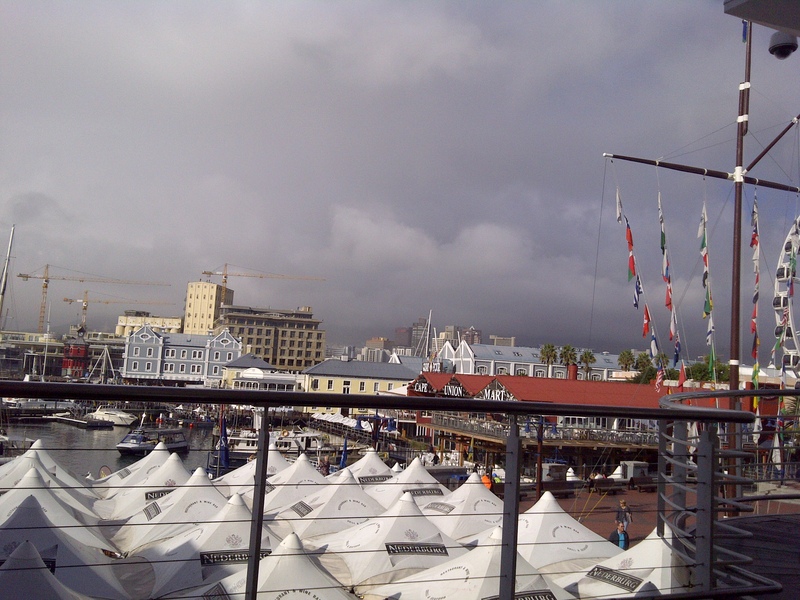 Sitting having breakfast, behind all those clouds you see in the background, lies Table Mountain. Sitting there sipping on my Cafe Latte I was happy in the knowledge I was dry and warm and not on the mountain hiking, as much as I love it ~ today was just perfect! Such a wonderful day out, injection done and a few more items on my list of things to buy done and I got to spend some quality time with my beautiful friend and her precious son ~ All in all, yet another perfect day!